Here at Leisuretec we take great pride in making our customers happy. Here are some of the kind words our existing customers have to say about us. If you'd like to let us know how you feel, click here to write us a message. I have known Mike and the team at Leisuretec for more years than I would like to remember. Leisuretec have always been a great resource for equipment, if you're planning on making a purchase they are always happy to spend time giving advice or suggesting alternative products that have similar functions or are more cost effect, if you need something in a hurry as we all do from time to time you can always count on them having what you need when you need it, and being able to get it shipped to you without delay, all in all they deliver. A winning team, well done. For me, as a newbie to lighting I found the Lighting Basics course to be spot on. It’s set just at the right level for people new to lighting or those with limited lighting skills looking for a better grounding. It was hands on which was great and you weren’t just thrown in at the deep end, every section covered had a technical explanation and training first. And to top it all… it’s FREE! With superb coffee and food too. Leisuretec are always on the ball. Their superb friendly service is second to none and is just one reason alone why we keep coming back. For the very few times we've had any problems with kit, Leisuretec have jumped on top of things and dealt with it extremely promptly, so we can keep running! I have been dealing with Leisuretec for quite some years now and have yet to find myself in a situation where I have felt disappointed with their offering or level of service provided. Leisuretec's website has become a bit of "Go To" destination when it comes to kit purchases (although I wish I had more money to spend.... Ha Ha Ha!). What stands out for me most is the no pressure approach of the company themselves, they are always there to help, unlike some sales companies who seem more concerned with what my businesses purchase levels are. Leisuretec was recommended to me by a colleague and from the very first enquiry I was blown away by the service. The knowledge and level of service provided is second to none and they are always happy to offer advice and support. Leisuretec are now my first point of call for all of my purchases. A real pleasure to deal with. So quick and friendly on the phone. Great company to deal with. The staff have always been extremely helpful, I've never come away with questions unanswered. 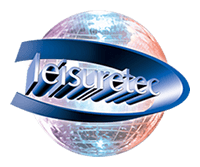 With a full range of equipment to buy, with difficult to beat prices, Leisuretec are our 'Go to' suppliers. And with their frequent mail updates, I feel like I'm never the last to know about their great deals and events. I wish I could think of something to criticise but I'd be lying if I did. A truly 5 Star business and a pillar of the AV industry. Since my first dealings with Leisuretec Craig and the rest of the team have consistently delivered excellent service, consistency and have strived to make sure I have the products I require on time - often at short notice. I look forward to working with you in the future as my requirements and no doubt your product lines continue to expand. All transactions I've had with yourselves have been spot on. Quick deliveries and sound advice when needed. We've dealt with Leisuretec for a number of years and enjoy the relationship with a friendly team backed up by a huge range of stock and the slickest despatch logistics to get your order next day. Leisuretec is a one-stop shop for us and highly recommended for handling all the #lastminute.com requests we get from our clients. Thanks guys! You are the number 1 supplier I go to, very knowledgeable staff, very useful website with trade access but allowing my customers to check RRP's. Really appreciate the fact I can order & have it delivered direct to my customer in plain packaging. What more can I say, Leisuretec are my number 1 choice of supplier. Whenever I have contacted Leisuretec they have been very helpful and polite, nothing seems to be too much trouble! Great Service all round since I opened my account with Leisuretec. Credit to Craig who has been my first point of contact and always responds on time. Items are delivered the next day. Can't fault that. Great company to deal with, all sales staff very helpful whenever I order anything. Many thanks for all your help. 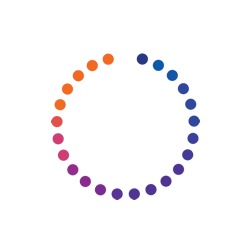 Contacted Leisuretec via Email, Tom Richardson replied to my Email and provided excellent service and advice - hence purchased two products, which solved the problem I had encountered. Website is easy to navigate through, as mostly my searches are related to sound products. All your staff are very helpful, friendly and knowledgeable, but if they are unsure about a query they will pass you onto one of the team who will answer your question. Keep up the great service. TecZone comprehensive courses run on a regular basis by reputable manufacturers and suppliers. Not only do we learn from AV professionals we get to catch up with peers, colleagues and Leisuretec including a tour of their offices. You come away having learnt quite a bit and having caught up with people and products. A great initiative!